» The Best Gifts for Guitar Players That They Will Truly Love! The Best Gifts for Guitar Players That They Will Truly Love! Are you looking around for guitar gifts, but can’t seem to find that special gift for the person you’re shopping for? It’s a common known fact that shopping for presents for other people can be very difficult! Some people are easier to buy for, while other people present more of a challenge. If you child, parent, loved one, best friend, office mate is a guitarist, you’re in luck! Many guitarists known that when purchasing a guitar for themselves to play, they’re investing into a never-ending money pit, as there are investments that must constantly be made in order to efficiently be able to play the instrument; a guitar strap, strings, a tuner, a gig bag, and more. There are some parts of investing into a guitar that are rather cheap and you can easily get your guitar player an inexpensive gadget that will be extremely useful to their guitar playing adventures. 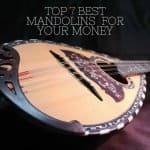 This list is a compilation of some of the most useful, funniest, and interesting gifts for guitar players that you can find on the internet! 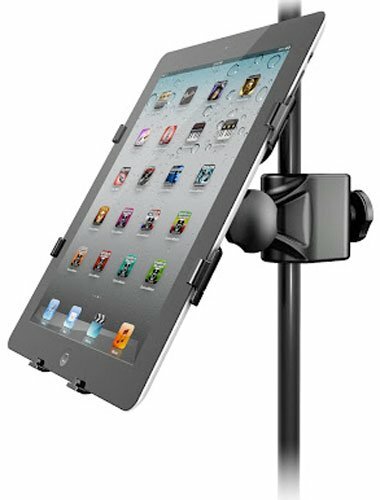 If you’re shopping around for a guitarist who enjoys playing live concerts and who users their iPad or tablet to read sheet music, this music stand is the perfect gift for $35 (For the latest prices and discounts, check here) . This is a strange gift, but it’s so unique, it’s certainly a $10 (For the latest prices and discounts, check here) you won’t regret spending. If you really don’t know anything about music, this is the perfect cop-out to get that certainly doesn’t appear to be a cop out. 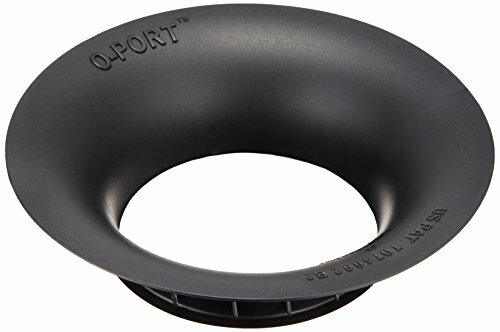 For $8 (For the latest prices and discounts, check here), you can purchase an amazing cleaning tool gift that all guitarists should have in their arsenal. If the guitar player in your life doesn’t have a guitar cleaning tool, it’s a tool that they certainly need! A guitar cleaning tool typically comes with a cloth and a cleaning solution. Having a guitar cleaning tool can work on acoustic guitars, electric guitars, or classical guitars. Since it’s under $10, it’s an affordable gift that all guitar players could use in their lives. A guitar backpack isn’t a guitar gig bag. 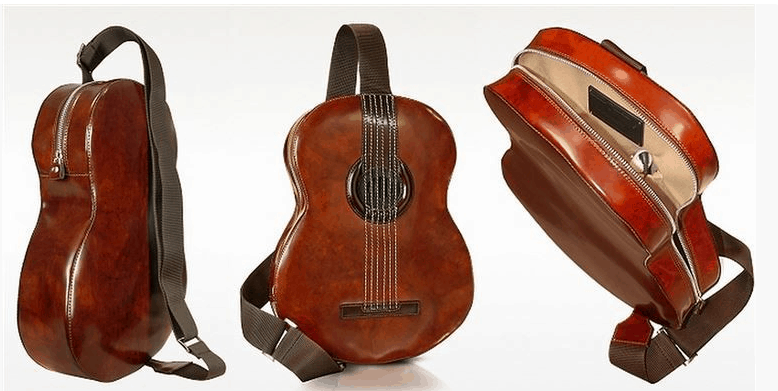 Matter of fact, it’s a book bag that’s shaped in the form of a guitar and the strap is modeled after a guitar strap. 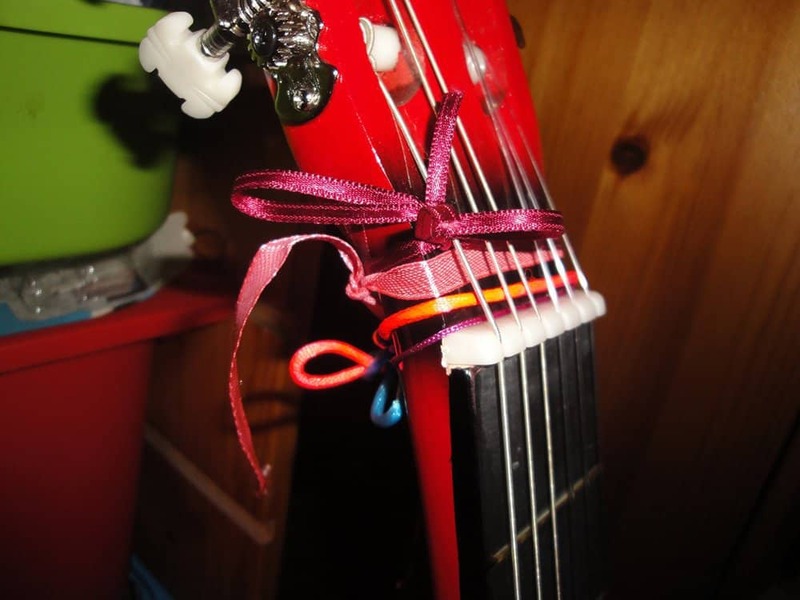 A super cool yet super inexpenisve gift for the guitar playing student in your life. You could also get them a guitar wallet to pair with the guitar backpack! Did you know that there are different types of apps on iTune that emulates the different types of guitar pedals and/or amplifiers? A lot of guitarists aren’t aware of the of the whole world that the Internet provides to the musical community. You can purchase a guitar to iPhone adapter for around $20 (For the latest prices and discounts, check here), which plugs into the musicians phone just as they would plug in headphones. I received this as a birthday gift one year and it’s honestly been one of the best gifts I’ve ever received, guitar related. 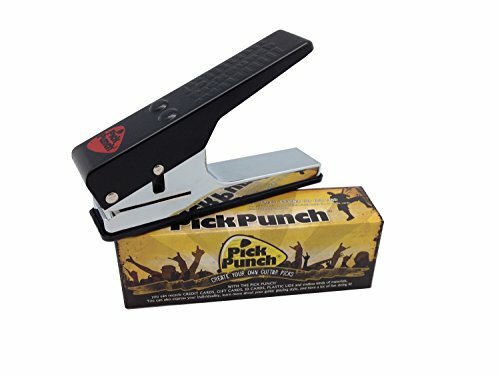 This handy little device allows me to punch out picks, which are something that I’m constantly losing. If I’m looking for a pick-like material, I will create a pick using a credit card, loyalty card, or something of that material. If I’m looking to change up my sound and try something just to mess around with, I’ll use fun materials like card board, a paper back book and such. 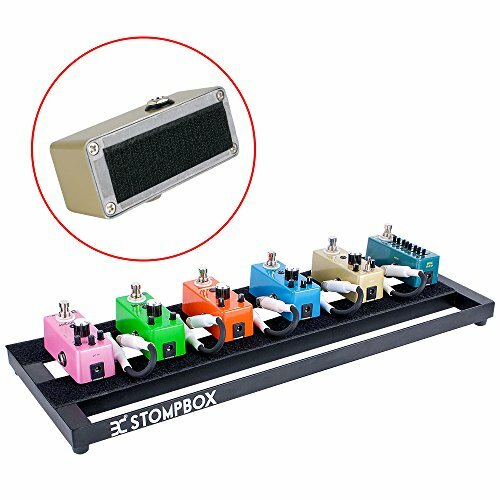 If your guitarist has a lot of effects pedals, the pedal board would make the perfect gift for them, as the pedal board takes away the mess on the musician’s pedal board by allowing them to plug all of the pedals into one box for power. Using a pedal board also makes turning off all of the effects pedals extremely easy, as the musician only has to turn off and on one switch. Know a guitarist who is moving into a new space soon? Some guitar decor would be a great gift to spice up their new place! 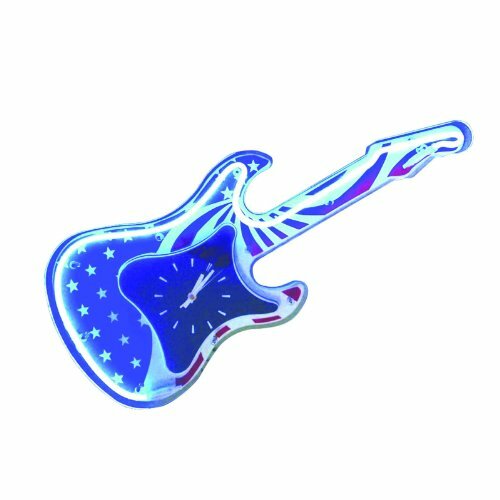 Guitar light switch plate covers are a great way to add a subtle hint of the musician’s passion throughout their new space, but you could even give them a guitar wall clock to add some practicality to your gift! Just like how some people are loyal to certain brands of food or cars, guitarists are also very brand loyal. There are some people who only shop Taylor, Fender, Martin, and other famous guitar brands. In some people’s minds, gift cards can see like a total cop-out. Gift cards are honestly one of the best gifts you can give to a musician. Guitarists can use these gift cards to buy applications, lessons, or sheet music that they’ve been wanting to get their hands on for a while. You could also give a card to your musician from Guitar Center or a local guitar shop, which will allow you user to purchase any guitar gear that they need. For $17 (For the latest prices and discounts, check here), you can purchase an acoustic guitar player a really excellent and unique gift. This acoustic guitar sound enhancement is more aimed towards someone who owns a lower priced guitar that doesn’t have amazing guitar sound quality. When the guitarist opens this gift, don’t expect them to know exactly what this device does. Basically, the acoustic guitar sound enhancement is a device that helps to enhance the sound that their guitar produces; when this guitar is inserted into the sound hole of the acoustic guitar, it helps to add clarity and volume to the instrument. If the guitarist in your life has a more expensive guitar, I wouldn’t suggest this gift for them, as higher end guitars just don’t get the same results with this device; if the guitar of the musician you’re shopping for is under $500, this device will be the perfect gift for them. Most clip on guitar tuners will cost you around $10. Even if. Your guitarist already has a tuner in their arsenal, having a second back-up tuner is always a great thing to have around. 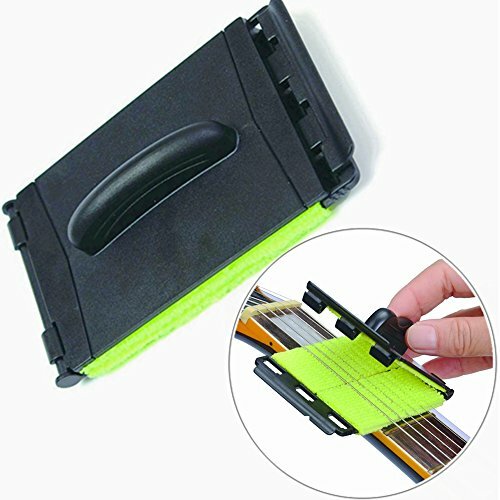 Having a clip on guitar tuner is a quality tool to have, because they’re easily portable, easier to tune with, and easy to store away! Have a college student on your hands that’s passionate about guitar? A USB device that’s shaped like a guitar is not only a device that will be used again and again, but it’s a cool way to show your support for something your student is passionate about! 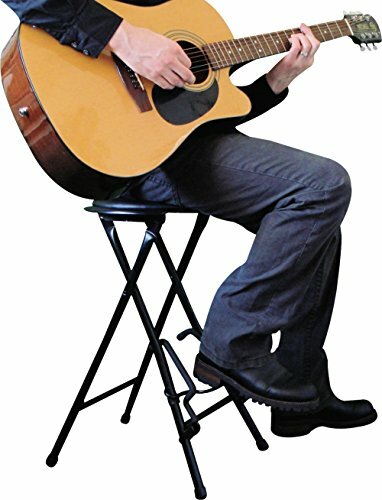 A guitar stand and a stool, all in one $48 (For the latest prices and discounts, check here) option! Do you know if the person you’re shopping for spends their time practicing on a kitchen stool or a folding chair that wobbles just a little too much? This guitar stand and stool option provides musicains with a place to sit and practice their music, while also giving a little place to rest their leg, which makes holding the guitar and practicing a lot easier to play. Being able to display a gorgeous guitar is every guitar player’s small dream. For $10 (For the latest prices and discounts, check here) , you can purchase a guitar wall hanger that allows musician to attractively display their guitar on a wall in their bedroom, living room, or anywhere else in their house! 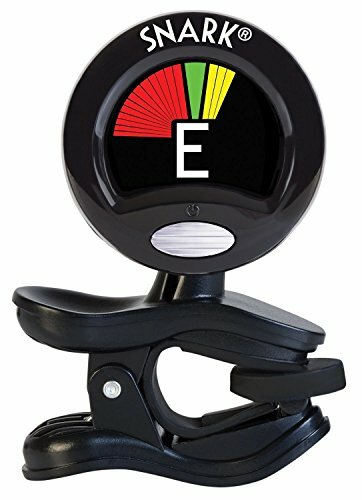 A guitar capo and a tuner all in one device? What a perfect gift, especially for only $22 (For the latest prices and discounts, check here)! If you aren’t in the music community, you won’t understand how rare it is to find a combination of two extremely useful tools. 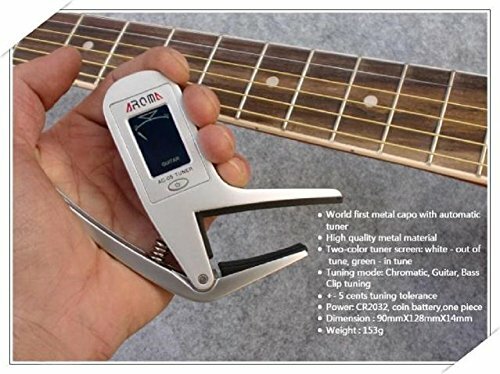 This means that there’s almost a 100% chance that the guitarist in your life doesn’t have this capo and tuner combo and once they open the packaging for this device, they’ll be able to use it right away- no set up time! A guitar throw pillow is an excellent gift for a female who enjoys playing guitar! There is a large selection of different sizes, styles, and stiffnesses of pillows available for purchasing. Have a coffee lovin’ guitar player in your life? 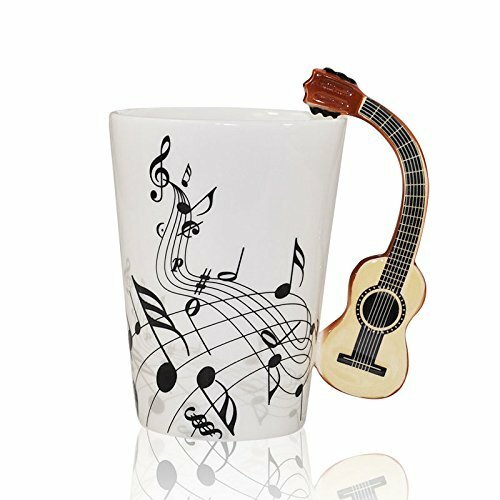 A coffee mug with a fret board shaped handle is the perfect gift for the combination of the two loves, for one affordable gift! 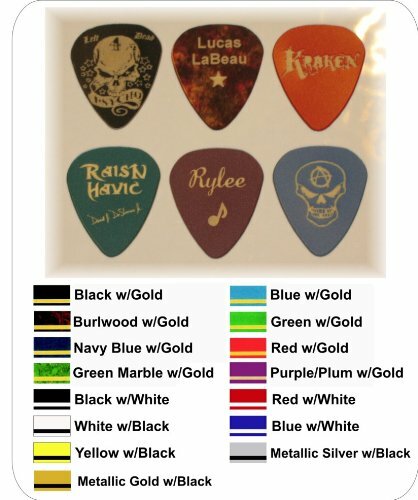 If you’re on a really tight budget, a set of personalized guitar picks will run you around $6 (For the latest prices and discounts, check here). If you’re close to the guitar player in your life, you may notice that they’re always complaining about the lack of picks that they don’t have. Even as an advanced guitar player, I tend to break my picks, lose them, or lend them out and never get them back. Giving just a plain set of picks can be pretty boring, but for an affordable price tag you can add personalization to the gift. 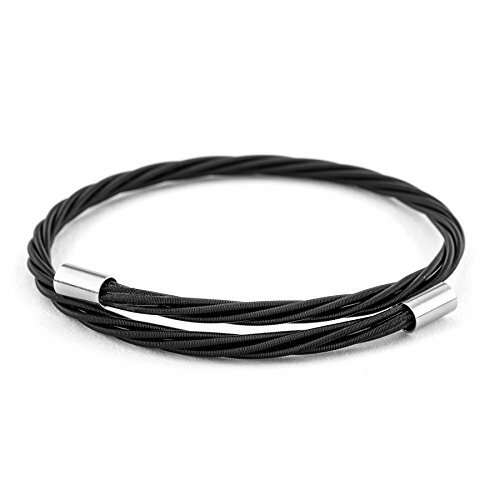 While the title of this gift doesn’t sound too exciting at first, a guitar string bracelet is a bracelet that’s comprised from used guitar strings. A great way to recycle and make a unique gift, while supporting small artists! Any college student or adult would love to receive a mini guitar shaped skillet! 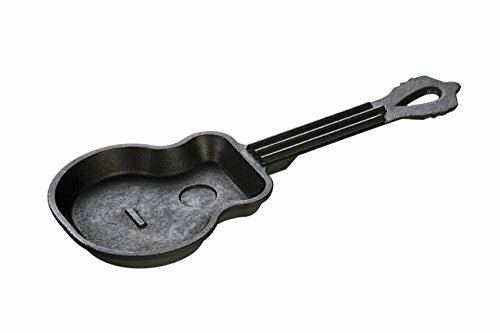 They could make guitar shaped eggs, guitars shaped pancakes, and guitar-shaped crepes- a cool and unique gift to have in any musician’s kitchen. 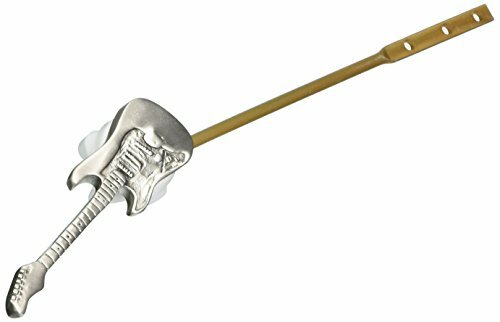 If you’re interested in pairing this gift with another guitar related item, the guitar cooking spatula is a great gift for the someone who is a guitarist and a chef! Or maybe you’re looking to step it up a notch and buy something that’s a little more useful that a spatula. A fridge, maybe? there’s a Marshal Amp Stack fridge that’s perfect for a college dorm or a guitar room! 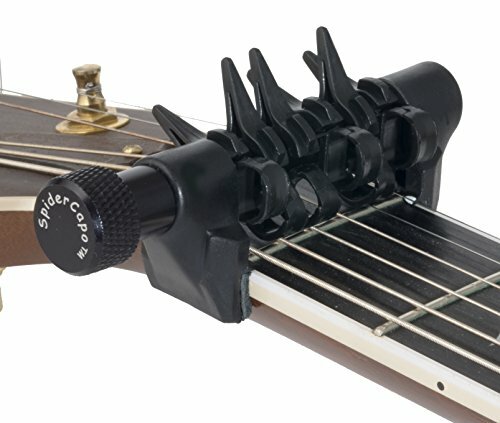 The spider capo is one of the most amazing guitar capos ever invented, as it’s an extremely versatile capo that allows musicians to capo strings individually, instead of the forced six strings that most capos have. This a capo that will forever replace the need for all other capos in the guitarist’s future and is an incredible gift, for $30 (For the latest prices and discounts, check here). Purchasing guitar strings for the guitarist in your life can be extremely difficult to nail properly, especially if you don’t really know too much about music. 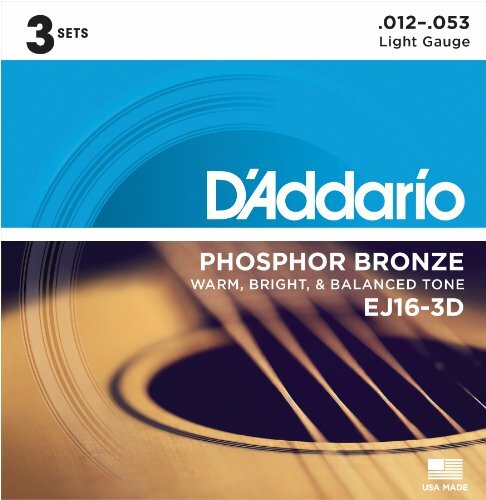 Purchasing guitar strings for your musician has a bit of a pros and cons situation with it: on one end of the spectrum, guitarists are always in the need of strings, as these things are always breaking. On the other end, many guitarists are extremely picky about the types of strings they want on their instrument. If you’re buying for another person and not yourself, I would suggest that you check in with them to see what type of strings they’re using and get that exact brand and size of the strings they mentioned. Guitar looper pedal is a pedal that’s for both acoustic and electric guitar players. Purchasing guitar pedals can be a difficult gift to purchase, espeically if you don’t know what type of pedals your guitarist is looking for. 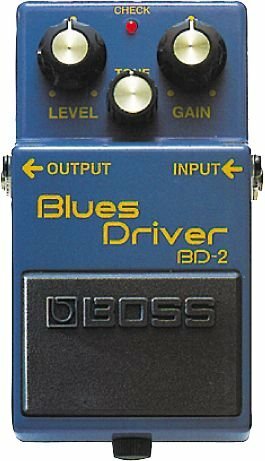 However, in my experience of being an advanced guitar player and a guitar teacher, there is one pedal that I have always found to be a welcomed gift to all guitarists. A looper pedal is great to have around, especially for a musician who is looking to play music that features a lot of chords in it. 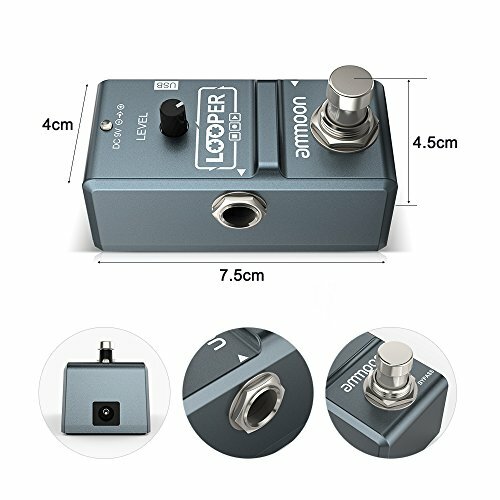 Basically, a looper pedal is a pedal that’s great to use at home for practicing or solo work, as it allows the musician to play chords and the pedal will play these chords back, allowing the guitarist to solo over top of themselves. There are so many different creative routes a musician can take with a guitar pedal. If you’re curious about what the pedal sounds like, just take a quick glance around YouTube! Now, I know what you’re thinking, $60 for a pair of headphones? Musicians who are serious about their hobby are incredibly picky about their sound; when we listen to our music, we want the sound to be full, clear, and crisp. Purchasing a pair of quality headphones can really make the difference in your musician’s guitar experience, especially if they’re working on becoming a recording artist. Personally, I think that the $100 (For the latest prices and discounts, check here) electric guitar bow is one of the coolest gadgets on this list. An electric guitar bow (also called EBow) is used in place of a guitar pick; the EBow uses magnet to create a bowing effect, that’s very similar to the sound that a cello, violin, or viloa produces. 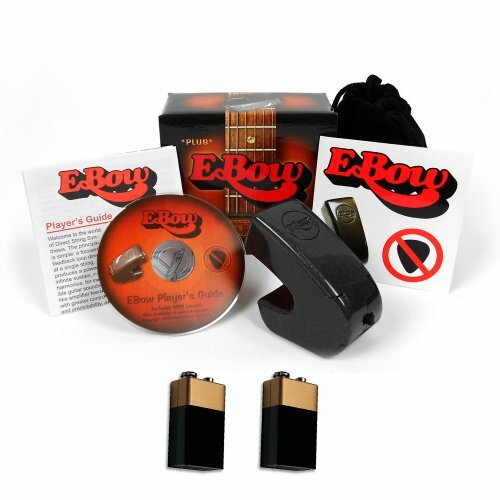 Giving the gift of an EBow really helps to open up a whole new world to your electric guitar player. You can purchase almost any Boss pedal for right around or under $100. Boss pedals are semi-famous in the guitar community, as they are well known for their amazing quality that any level guitarist can use. The only downside to purchasing a pedal for your musician is that you don’t want to buy them a pedal that they already have or one that they don’t want. If you’re close to the musician and are confident that you know what they want, a Boss pedal would make a great collection for any electric guitarists collection. Playing guitar is a very personal experience, even if the musician is just a beginner! Big purchase such as amps and guitars require the musician’s own creative interests and personal tastes. In other words, if you aren’t close to the musician you’re shopping for, stick with smaller, less personal gift options. However, if you happen to be live with the musician you’re shopping for, chances are you can go shopping around their guitar room to see what their personal preferences are for guitar gear. If you happen to be someone who hates online shopping, there are still gift options for you! Guitar Center is a great music merchandise store that has hundreds of locations located all over the country. Guitar Center has a whole Buch of guitar gear such as music work books, strings, amps, guitars, gig bags, cool picks, and more. A lot of the shopping options at Guitar Center offer affordable and unique options that would make the perfect gift! After you’ve gone through this list, if you haven’t found anything that seems just perfect of the musician you’re shopping for, amazon.com is a site that offers a wide selection of guitar gifts and guitar gear that would make amazing gifts, all at the lowest possible prices. Hopefully with the help of this article, you’ve been able to find the perfect gift for the guitar player in your life. Thank you for reading and I hope that this article was helpful! Rosewood vs Maple Fretboards: Which is Better?